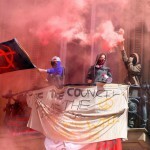 Five Activists who had occupied Liverpool’s old Bank of England building to provide shelter and feed the city’s homeless people have been jailed for almost 3 months each. They were sentenced on Thursday 17th September 2015 at Liverpool Crown Court. 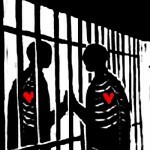 Liverpool: Love Activists imprisoned for Bank of England occupation – Free the Love Bank 5! Five Activists who had occupied Liverpool’s old Bank of England building to provide shelter and feed the city’s homeless people have been jailed for almost 3 months each [see prisoner details at bottom of article]. 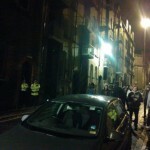 The Love Activists moved into the unoccupied building in the middle of April to set up a support centre for Liverpool’s homeless people, incorporating places to sleep, an advice centre and a street kitchen, from where they were evicted in the early hours of 12 May and the homeless activists arrested. We make this document a Statement of Intent regarding the old Bank of England building on Castle Street, Liverpool. The intentions are as follows to feed, cloth and help all those who seek it and for the local community to help resource this project. We intend to use this building for the community, to inspire a feeling of community, which is lacking. We do this in direct response to a local council and government who are lacking in their efforts to help those in need and in fact, the local Council and government seem intent on making matters worse for the people by putting more and more austerity measures in place. 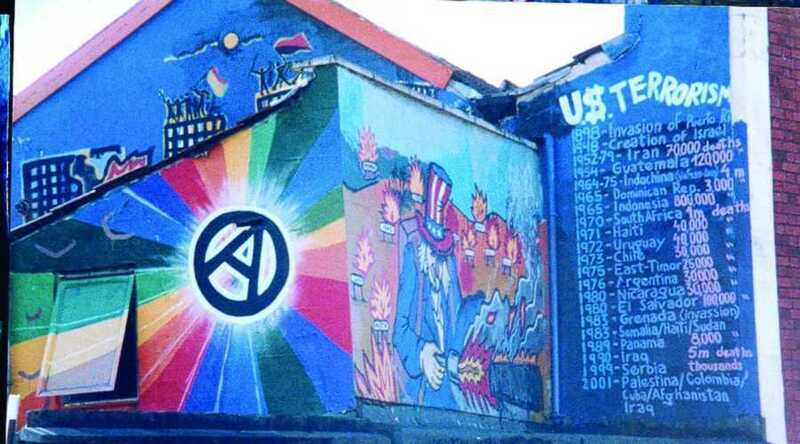 The “new location” is a squat in a derelict office block on Preston Street and until the above message was posted its location was kept secret. I always thought the decision not to tell anyone the new location was odd but I have heard that it was intended as a half-way-house for the camp to re-group and store their stuff before moving on to a new camp. The old location was extremely exposed and as a result was often battered by high winds; I’m surprised the occupiers stayed as long as they did. Freiburg im Breisgau (Germany): Mozart3 and Klara17 squats evicted!